The institution of higher education began its history in the first quarter of the twentieth century, namely from the mid-1920s. 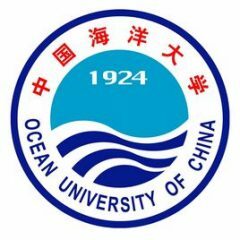 Since its foundation, Ocean University of China has undergone several changes, in particular, the university has had several names, such as Shandong National University, Qingdao National University, and others. However, in the late 1980s, chairman of the China Deng Xiaoping gave a new name to the Higher School, and since then, the Higher Educational Institute has the current name. It is worth noting that during its work, the university deserved wide recognition and earned rich experience in preparing in the field of oceanology, and therefore was included in the national program “Project 985” and “Project 211”. Scholarships for annual language courses for foreign students. Those who wish to receive a grant must be fluent in Chinese or English. Depending on the level of knowledge of these languages, the student will be able to receive a grant (or semi-grant). Further years of tuition fees at the university depend only on the academic performance of students, so students in undergraduate programs can receive grants of the highest class, which implies free tuition and accommodation. For information on grants for graduate programs, we ask you to seek advice from the support service on the site. Today, three campuses and twenty-two colleges operate at the Higher Educational Institution. For its applicants, the OUC offers training programs in seventy-one types of specialties, for those who want to get the second level of Higher Education, 131 areas of masters training programs are offered. Successfully completed Master’s program can continue their research activities in postgraduate programs, the university offers over 40 postgraduate training programs. One of the brightest events in the history of the university is that it was one of the first to receive permission for the training of scientific and pedagogical cadres in doctoral programs. The number of students enrolled in the OUC reaches over twenty-five thousand, of which more than five thousand are students enrolled in doctoral, postgraduate and graduate programs. More than 12 thousand students enrolled in undergraduate programs and about 1.5 thousand foreign students are currently studying at the Higher Educational Institution. More than one thousand two hundred highly qualified teachers teach and give lectures to students. Almost 50% of them are doctors of science, and more than 86% of them are professors, whose age does not exceed 45 years. It should be noted about visiting professors from other institutions of higher education. The High education establishment invited a total of eight academicians from both the Chinese Academy of Sciences and the Chinese Academy of Engineering, as well as honorary professors from the program of scientists “Cheung Kong”. The OUC has all the necessary conditions for comfortable research work, so, more than 70 laboratories are offered to students, each of which is equipped with the latest technology. More than half of them are focused on the study of marine and oceanic sciences so that students have everything to conduct research. Perhaps this is one of the main advantages of the High School. Students can use the research vessel Dong Fang Hong 2, with a displacement of three thousand five hundred tons, which is used both for in-depth teaching to students & researches. During its work, the Higher School Library Collection has collected a huge amount of both foreign and national literature, mainly focused on engineering sciences, oceanography and fisheries. It should be also emphasized that there are only a few such library collections, so this fact can be considered as one of the advantages of the university. Today, the library of the High school is referred to as the National Information of Sea Sciences. Adhering to the national policy in the field of training of high-quality personnel, the Higher educational institution seeks to promote education reform, which allows you to create a completely new system of rational and sustainable structure and mechanism for teaching students. It should be noted that since the deepening of these reforms, the quality of education received by graduate students and doctoral students has been significantly improved, thus, it has its own distinctive features. The High education institution based on the credo of the “XXI century – an ocean-oriented century”, aims to become a university of the highest level, with a strong potential for training qualified personnel, in the field of ocean and sea sciences that to comply with international standards. Both the university and the Department of Education developed the “Road Map” according to which, it is planned to develop the Higher Educational Institution in stages. According to the Roadmap, by 2025, the Higher School will be among the best educational institutions that focus on oceanic and marine scientific research.